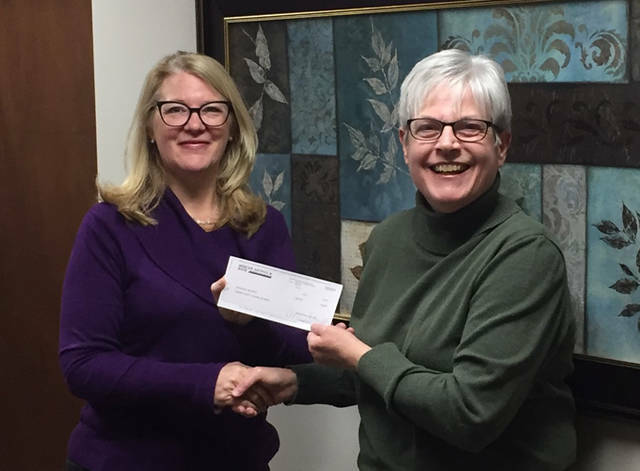 Mercer Savings Bank employee Linda Johnson selected Mercer County Council on Aging to receive a $200 donation as part of the bank’s Mission of Giving. Johnson is pictured with Sharon Green. 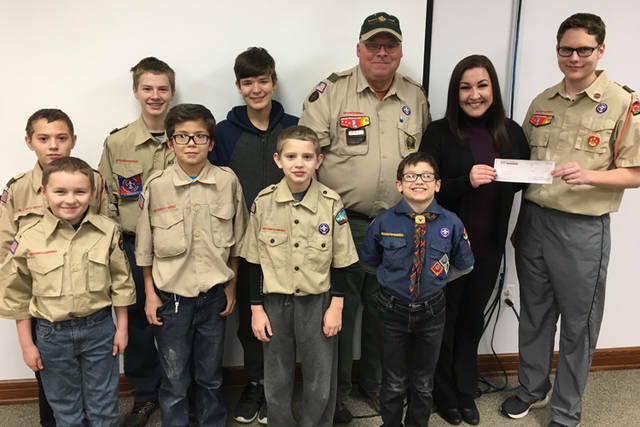 Mercer Savings Bank employee Rachel McDowell selected Boy Scouts of America to receive a $200 donation as part of the bank’s Mission of Giving. McDowell is pictured with Boy Scout Troop 69. Rachel McDowell chose Boy Scouts of America. Tim Burns chose Friends of the Greenville City Park. Linda Johnson chose Mercer County Council on Aging.